CVE triage: I pushed 24 commits to the security tracker. I also setup a rotation with other paid contributors. That way this task doesn’t rely on me exclusively. Reviewed a libapache-mod-jk update and sent DLA-240-1. Prepared and released DLA-257-1 on libwmf fixing one CVE. Reviewed a shibboleth-sp2 update and sent DLA-259-1. Lacking a proper test setup, the tests done were minimal. Prepared and released DLA-260-1 on hostapd fixing one CVE. Prepared and released DLA-261-1 on aptdaemon fixing one CVE. I started to work on a wishlist bug for tracker.debian.org: displaying open security issues in stable releases is important to catch the attention of package maintainers. Right now it only displays something when security issues are open in unstable. Distro Tracker. I fixed a few issues that were affecting the tracker: SSL access to the BTS soap interface was not working due to changes in the way SSL certificates are managed on Debian machines (see #787410 for details of a similar problem), and the bugs panel disappeared for a while (see #787163). I also merged some minor changes from Christophe Siraut and James McCoy. The Debian Administrator’s Handbook. 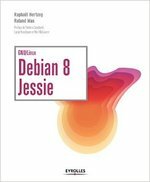 After some exchanges with Osamu Osuaki of the debian-doc team, we agreed to host a copy of my (DFSG-free) book on debian.org so that it can be better promoted to newcomers who are discovering Debian. It’s over there. I made some changes to the official package (notably integrating all available translations) to make this possible. Packaging. I uploaded two new release of publican to unstable (4.3.0 and 4.3.1), although I had to cheat by building them in stretch due to a build failure in unstable caused by a libxml2 regression (see #766884). I fixed two small bug reported against the package: a badly documented license (#787993) and a request to replace the dependency on perlmagick to libimage-magick-perl (#789223). 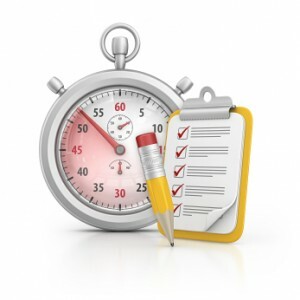 I uploaded zim 0.63 and a new gnome-shell-timer for GNOME 3.16 compatibility. And I sponsored python-requirements-detector (#789497) as a prerequisite for prospector (a package that I requested some time ago in #781165). I also took care of a stable update of python-reportlab (#787806) at the request of a customer. It should be able to keep unreferenced files for a few days before deleting theme (#788105). It should be possible to clone a distribution in a single command (#788843). It should be possible to rename a distribution in a single command (#788846). live-build is another important tool for us and when we started using new codenames for our releases, we re-discovered some problems and this time we submitted a bug report with some suggestion to make it more generic (#789800) and committed a small fix to avoid a stupid failure when the release is unknown to live-build. Hardware support issue. I have some problems to get some USB disks detected during boot of my Intel NUC, so I sent a bug report to the linux USB developers. It’s a weird issue and rather annoying as it means that my private NAS stops working after each reboot (until I powercycle the external disk enclosure). My websites. You might have noticed some changes on raphaelhertzog.com and raphaelhertzog.fr. I have deployed new themes that should be mobile-friendly and I also deployed proper https support with free certificates from wosign.com (until letsencrypt.org is ready for general usage). Same goes for the freexian.com webpage hosting our Debian LTS sponsorship offer.